Showing results for tags '13th'. I am going to little sahara oklahoma October 13th and 14th. Will any one else be there? I wanna ride with some new people! Missouri_2004_400ex posted a topic in General Talk - Anything Goes! Alright guys lets have some fun in two weeks. Everyone go to the dunes! Little sahara oklahoma. Any one interested? Anyone up for a ride at Potawatomi Offroad Park or Fingerlakes on Oct 13th? 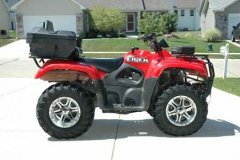 Anyone up for a ride at Potawatomi Offroad Park in Fulton, MO or Fingerlake State Park in Columbia, MO on Monday, Oct 13th? It is Columbus day and I don't have to work (the wife does though). Anyone who wants to go, please PM me.